Hi Folks, are you curiously seeking for the CG Vidhan Sabha Recruitment 2018? So, we have great news for those contenders who want to make their career in the Chhattisgarh Vidhan Sabha, Raipur Department. In this post, we are going to share all the details regarding the CG Vidhan Sabha Security Guard Vacancy 2018 in the below sections of the article. Eligible and efficient aspirants must read this given article very attentively & collect all the information from here. Aspirants may apply online for this Chhattisgarh Vidhan Sabha, Raipur 2018 Notification from the official website of Chhattisgarh Vidhan Sabha, Raipur which is www.cgvidhansabha.gov.in. You may check our careerjobs360 page for getting latest updates related to the upcoming notification, admit card, answer key, & result etc. and stay in touch with us. The Chhattisgarh Vidhan Sabha, Raipur has released the employment notification for CG Vidhan Sabha Vacancy 2018 for fulfilling up 75 Assistant Grade 3, Security Guard, Peon & Other Posts in the department. 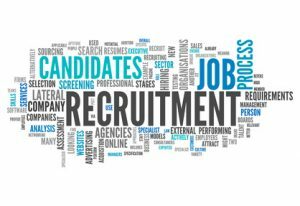 Contenders who are keenly waiting for CG Vidhan Sabha Security Guard Recruitment 2018 they may apply for this recruitment from the official website of the Chhattisgarh Vidhan Sabha, Raipur. Capable & willing contenders may apply online for Chhattisgarh Vidhan Sabha Peon Recruitment 2018. Interested contenders may submit their online application form on or before the due date which is 05th November 2018. Other information regarding the job such as academic qualification, age limits, application charges, selection process, key dates, & how to apply etc is provided below in the post. Kindly go through the full article. Interested & efficient aspirants who are willing to apply for CG Vidhan Sabha प्रतिवेदक Vacancy 2018 then they can check all the details like academic qualification, age criteria, selection methodology, pay band, etc from the provided below article after that fill the registration form through online mode. प्रतिवेदक: Interested Candidate must have done Graduate from recognized University. Assistant Grade III: Interested Candidate must have done 10+2 from recognized Board/Institute. Security Guard: Interested Candidate must have done 10+2 from recognized Board/Institute. Peon: Interested Candidate must have done 8th from recognized Board/Institute. For more details, you must visit the official notification of the recruitment. For प्रतिवेदक Post: Minimum Age Limit– 21 Years to Maximum Age Limit – 45 Years. For Assistant Grade III Post: Minimum Age Limit – 18 Years to Maximum Age Limit – 40 Years. For Security Guard Post: Maximum Age Limit – 31 Years. For Peon Post: Minimum Age Limit – 18 Years to Maximum Age Limit – 40 Years. Selection Process: The Selection of the contenders will be done on the basis of their performance in the written examination and personal interview which is going to be organized by Chhattisgarh Vidhan Sabha, Raipur. How to apply for CG Vidhan Sabha Recruitment 2018? Interested aspirants can apply online for this CG Vidhan Sabha Assistant Grade III Vacancy 2018 through the Chhattisgarh Vidhan Sabha, Raipur official website by filling the online application form on or before the deadline date that is 05th November 2018. Here we provide some steps for easily fill the application form. All the aspirants must follow all the below mentioned steps. Firstly candidates need to log on the official website of Chhattisgarh Vidhan Sabha, Raipur that is www.cgvidhansabha.gov.in. Then, on the homepage and Find the link of CG Vidhan Sabha Recruitment 2018 notification link. After that, click on the link and read the official notification instructions very carefully before applying for the given vacancy. Then, Click on Apply online link. After that, fill the application form with valid details. Upload required a credential, recent passport size photograph & signature on the application form. Submit the application form fees by click on the submit tab icon. Download the application form and take a hard copy of application form.